Headhunting services: giving temp agencies an avant-garde look. Discover how headhunting services are revolutionizing the temp to hire industry. What is one of the biggest challenges every successful company encounters? Recruiting. Searching for an adept talent is not an easy task! Many agencies spend a vast amount of resources on hiring and training temp employees (commonly know as temporary workers). A company’s instinct to fulfill its staffing necessities instantly may induce them to take impetuous decisions. Take a step back, and let the headhunting experts take charge. Headhunting services can provide the short-term staffing solutions you’re looking for to maximize your business productivity, and thus, achieve efficiency. 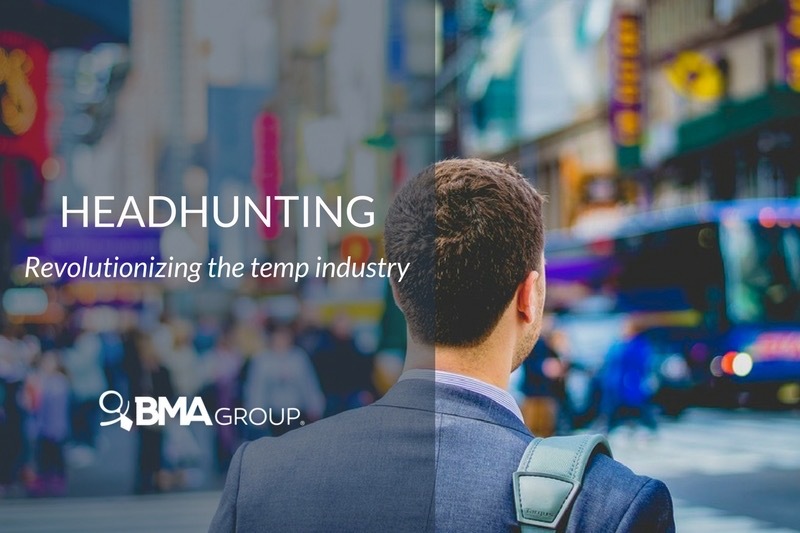 As a result of the emerging popularity of temp agencies, headhunting companies have been incorporating temp to hire services in their business offers. Their broad expertise in the recruiting industry permits them to select adequate temp talents to fill in key positions in your firm. Temp agencies are the latest sensation in the recruiting industry. Not only do they provide a rapid and temporary solutions to your vacant or absent workforce positions, but also they’re remarkably cost-effective. No more wasting money on hiring ads, interviews or trainings! In addition to saving on administrative costs, companies are also benefiting by paying directly to the temp agency a flat hourly rate for the temp worker services. Worldwide corporations are getting in the trend of hiring temp agencies, and headhunting companies are not staying behind. In the staffing industry, there’s always a concern regarding temp employees. What if I’m hiring a low skill level employee? What if the temp worker I recruited doesn’t match my company? Headhunters are always on the look for the most suitable candidates to occupy vacant positions in a company. They are committed with their clients to find the most adept talent for their respective agencies. By incorporating temp services, headhunting companies can offer client firms the specialized temp employees in their field. With headhunting companies, you can obtain quality temp employees at a low wages. Headhunters possess the expertise that can get the job done quick. Here are some benefits of hiring headhunting companies to recruit specialized temp talents. Recruiting can be a necessary but expensive investment. In between the ads, hiring, and training, companies waste an incredible amount of money. Nevertheless, by employing headhunters, you pay a flat hourly rate directly to the headhunting company, not the temp worker. This cuts expenses because your firm doesn’t have to worry about the payroll withholds and benefits of the temp employee. When recruiting, you must be certain of the individuals you’re hiring. With headhunting services, you don’t need to worry about choosing the wrong temp candidate. Headhunters do a background check on all the talents they encounter on a daily basis. By studying their previous workforce experience, headhunting services can find a suitable candidate for your company. There’s no need to waste money and time on training new candidates! Headhunting services provide skillful temp talents that possess the expertise your company needs to fill the unoccupied position. Headhunting companies are dedicated to finding culture-fit talent for your company’s key positions. By integrating the services temp to hire agencies offer, headhunting companies are more adept to find skillful candidates for your staffing necessities. The right headhunter investigates how your company operates and how your team is structured. This will permit them to discover the best temporary fit for your business. It’s not just about filling the vacant slot! Experiences headhunters are on the search to find the culture-fit temp worker that will integrate better to your firm. If your temp workers are content with the company, they will be more productive; hence, generate more revenue for your firm. A quality headhunter has your temp necessities covered! When firms ponder about employing temp agencies, their primary motive is to find rapid staffing solutions for their vacant positions. Headhunting companies transcend your firm’s primary motive, and offer you an ideal culture-fit solution that will surpass your business’ expectations. Headhunters in Puerto Rico provide the staffing solutions you need to increase your company’s productivity. By integrating temp agencies services, headhunters are most qualified to find the culture-fit talents, for short or long-term positions, you’re searching for. There’s no need to stress about recruiting talent! Headhunters have the staffing solutions you need to get your company to the top! WANT TO LEARN ABOUT OTHER OUTSOURCING SERVICES THAT MAXIMIZE REVENUE? DOWNLOAD THIS FREE GUIDE!